Driving into West Virginia can be an emotional experience. The Wild and Wonderful welcome sign is hard to miss, but there’s more to it, right? Ever get a lump in your throat, or tear up just a little? That’s why Steve Wentz felt compelled to capture those feelings of being back in the Mountain State. His poem, That Sign Above The Highway, has created a stir on social media. Thousands of people have liked it, and many of them have also shared their thoughts on leaving home. And most especially, coming back, if only for a visit. There’s no place like home for a mountaineer. A Barbour County native, Wentz grew up about two miles outside of Hall. Well, there are only about five houses and a church there. But it’s still important to him, especially since two brothers live there even now. Memories of family members, his childhood and the area’s natural beauty still resonate all these years later. Time spent on the Buckhannon River, even a pasture complete with copperhead snakes are part of his personal and Shades of Gray Facebook pages. Home is never far away. “I guess it’s the peace of being able to get away from it all amid the beauty of the mountains and streams. Not to mention the kind people that all seem to relate, and are there to help each other when they need a hand,” he said. Fortunately, he’s never had to leave and hopes to stay put in nearby Upshur County. Others haven’t been as lucky. 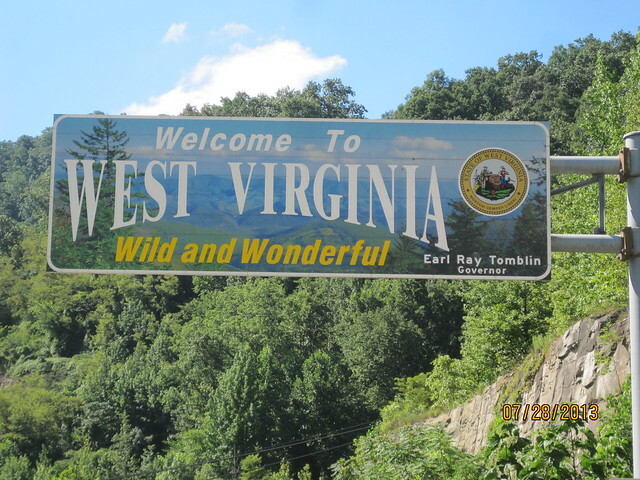 His poem is for anyone who loves West Virginia, and keeps it in their heart. Is right here, beneath our feet. Of any trip for me. Supporting Trump is the only thing that I don't like about Wv. No matter how much fun I had visiting other places whether for business, leI sure or vacation I always looK forward to seeing the sign and feel I am home no matter where I am in the State. Many trips I take a picture of the sign when we get near.